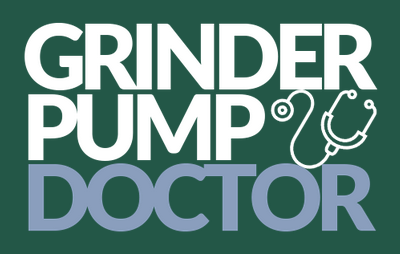 Your One-stop Shop! If We Sell It, We Can Service It! Outfit your home with the right size electrical panel. Install a backup generator to prepare for severe weather. Rewire your home so your remodeled rooms can function properly. Fix your control panels to keep your machines running smoothly. 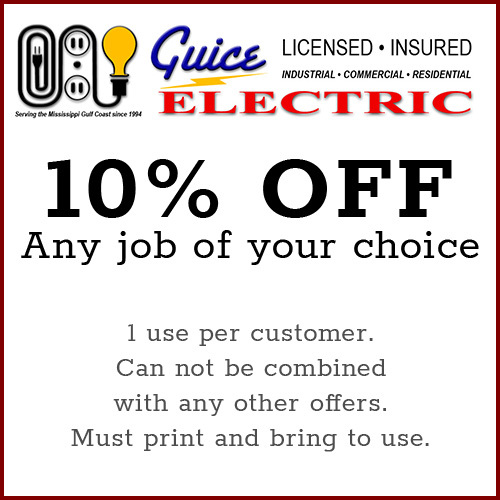 Guice Electric LLC is a one-stop shop for electrical services - if we sell it, we can service it! We work on a variety of properties, from multi-level condos to mom-and-pop shops. Our electricians use eco-friendly techniques to power your property while reducing your energy usage and electric bill. No matter how complicated your electrical issue may seem, trust us to resolve it ASAP. Call now to schedule your project. We accept all major credit cards. If you need help paying for electrical services, discuss financing options with an electrician in Ocean Springs, Biloxi, & Gautier, Mississippi. We also offer electrical consulting at competitive rates. Don't worry about anything when it comes to your electrical system. Contact us today to discuss your electrical service needs with an experienced electrician in Ocean Springs, Biloxi, and Gautier, Mississippi. Originally founded by John Guice Sr., Guice Electric is now run by his son, John Guice Jr. In 2008, Junior was named one of Mississippi's Top 40 Under 40 by the Mississippi Business Journal. Rest easy knowing you've chosen an outstanding company to maintain your electrical system. Reach out to a residential or commercial electrician in Ocean Springs, Biloxi, & Gautier, Mississippi today.